How to watch Prison Break: Season 5 (2008) on Netflix Austria! 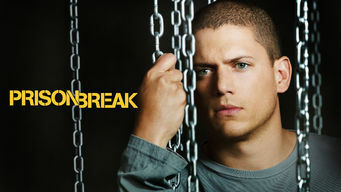 Yes, Prison Break: Season 5 is now available on Austrian Netflix. It arrived for online streaming on December 1, 2018. We'll keep checking Netflix Austria for Prison Break: Season 5, and this page will be updated with any changes. When his brother is wrongly convicted of murder, a structural engineer resolves to bust his sibling out of the notorious Fox River State Penitentiary. His brother wrongly imprisoned on death row. An elaborate plan to set him free. Breaking in is the easy part. Season 1 of Prison Break has 22 episodes. Because different Netflix countries have different availability for episodes, you'll need to check the episode listing below to see which are available in Austria. Structural engineer Michael Scofield gets himself sent to jail so he can plan an escape for his brother, a death-row inmate who says he's been framed. Michael tries to get his hands on two items: a drug that will help him test positive for diabetes and a large bolt that he can use in his escape plan. 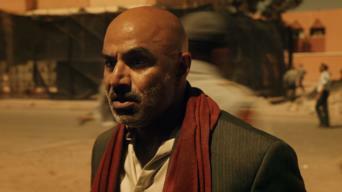 Michael encounters problems bringing Abruzzi and Sucre into his plan. Meanwhile, Lincoln considers having a family member attend his execution. Michael obtains some caustic chemicals to use in his escape plan. Later, his new cellmate, Haywire, develops a fascination with Michael's tattoo. While Kellerman and Hale push Michael's transfer, he stalls it to test the first part of his escape plan. Michael's ploy to buy work time by prompting a cellblock lockdown leads to a full-scale riot. Meanwhile, Kellerman hires an inmate to kill Lincoln. During the prison riot, Michael rescues Sara, the assassin tries to kill Lincoln, and Bellick defies Pope to talk to the governor. As Michael tries to figure out how to tunnel into a building that houses a guards' break room, Kellerman and Hale attempt to kill Veronica and LJ. T-Bag loses one slave and targets another. Meanwhile, Abruzzi's demotion within the prison hierarchy jeopardizes the escape plan. To regain control of the work team and restore their chances of escape, Abruzzi persuades Michael to tell Falzone where he can find Fibonacci. Michael builds a device to help figure out how much time his group will have to escape, and Westmoreland joins the breakout team. 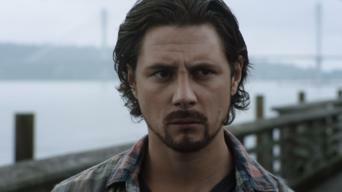 Lincoln warns Michael that someone in the group will have to stay behind. 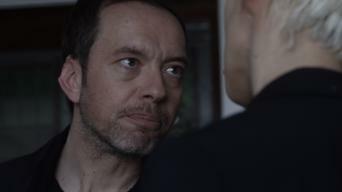 Later, Abruzzi threatens to kill T-Bag if he doesn't drop out of the group. As Lincoln's execution nears, Michael puts the plan in motion. Meanwhile, Kellerman confronts Hale, and Veronica makes an announcement to the media. As Michael tries to delay Lincoln's execution by altering the electric chair's wiring, Veronica and Nick attempt to get Steadman's body exhumed. 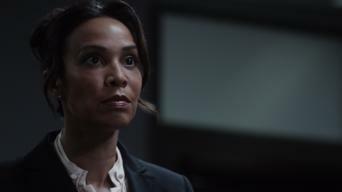 Lincoln gets a stay when a judge orders Steadman's body to be exhumed, and Sucre calls in a favor to help Michael verify a new route to the infirmary. Flashbacks shed light on how inmates Michael, Lincoln, Sucre, C-Note and T-Bag came to reside in the prison and how Sara ended up working there. Michael is thrown into solitary confinement. Meanwhile, Sucre is left to pave over the escape hole in the guards' break room. As Michael tries to get Haywire to recall the missing tattoo piece, other team members must keep Bellick from auctioning off Michael and Sucre's cell. Michael tries to figure out how to get the infirmary key from Sara. Meanwhile, Lincoln learns about his dad's role in the events that ruined his life. With the escape hole discovered, the cons have to make their break. But with Lincoln under 24-hour watch, he may have to be left behind. After Michael forces Pope to transfer Lincoln to the prison infirmary, the escapees manage to get safely to Sara's unlocked office. With the escape discovered, Bellick heads a massive manhunt for the cons as the vice president makes a shocking power play. Season 2 of Prison Break has 22 episodes. Because different Netflix countries have different availability for episodes, you'll need to check the episode listing below to see which are available in Austria. Michael and his group give Bellick the slip, forcing him to relinquish command to an FBI special agent, who cracks the code to Michael's escape plan. Mahone uses LJ as bait to trap Lincoln and Michael. Later, a desperate courthouse rescue brings the brothers face-to-face with their pursuer. Michael's most valuable asset falls into Mahone's hands. Meanwhile, the fired Bellick drafts a partner to help get the escapees back in prison. Bellick captures Michael and his team, but it's not the police reward he's after. Elsewhere, T-Bag has a close call with the cops in Nebraska. The brothers finally arrive in Utah, only to discover that they aren't alone. Meanwhile, an unsuspecting Sara invites Kellerman to her apartment. With the millions buried somewhere under a housing development, Michael must coax the map out of T-Bag's head as Mahone gets ever closer to his prey. The escapees find the treasure, but Sucre has other plans. Elsewhere, Lincoln risks everything to get to LJ, and Sara lands on The Company's hit list. With the money gone and the police closing in, Michael and Sucre's only chance of escape is across the river -- but the water conceals a deadly trap. 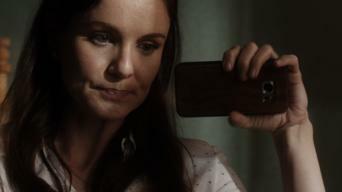 Michael pays a visit to Mahone's ex-wife and pieces together the agent's dark secret. Elsewhere, Kellerman is on Sara's trail. While Bellick is busy getting T-Bag to give up his secret -- the hard way -- Michael and Sara reunite. But their time together is cut short by Mahone. To reunite with Michael, Lincoln must leave LJ behind. Elsewhere, T-Bag escapes the police but pays a devastating price, and Kellerman tortures Sara. C-Note seeks medicine for his daughter. Bellick becomes the focus of an investigation. Aldo makes his peace with Michael but pays the ultimate price. Michael and Lincoln are en route to Fox River, but Mahone and Kellerman do everything in their power to make sure the brothers are dead on arrival. Kellerman brings Michael and Lincoln face-to-face with Steadman, but their plans unravel. Meanwhile, Bellick crosses the wrong prisoner at Fox River. While on the run with Kellerman, Michael and Lincoln reveal their story on national television, and Michael gets a coded message to Sara. During a diner robbery, C-Note must weigh his daughter's health against the life of a waitress. Elsewhere, Kellerman solves the riddle of Sara's key. Michael and Sara turn to Pope to get the evidence that will topple The Company. Meanwhile, an escapee must choose between his daughter and his pals. Michael, Lincoln and Sara finally hear the proof that can set Lincoln free, but they'll need another ally on the inside to get the truth out. Michael finally comes face-to-face with the president. Meanwhile, C-Note is offered an out if he'll double-cross Mahone. With the brothers preparing to sail away to freedom, Sara is forced to sacrifice herself to ensure their safety. Michael is determined to get the $5 million and to put an end to T-Bag's reign of terror. Meanwhile, Sara goes on trial. Michael attempts to save himself and Lincoln from Mahone's double cross. Elsewhere, a surprise witness at Sara's trial changes everything. Season 3 of Prison Break has 13 episodes. Because different Netflix countries have different availability for episodes, you'll need to check the episode listing below to see which are available in Austria. In Sona prison, Michael runs afoul of the penitentiary's criminal kingpin. Elsewhere, Lincoln's search for Sara has dire repercussions. Michael tries to secure the safety of fellow prisoner James Whistler, who holds the key to Michael's freedom. Meanwhile, Lincoln investigates Sofia. Michael hits a series of dead ends but learns more about Whistler, who tells Michael the truth. Meanwhile, Lincoln tries to rescue Sara and LJ. As Mahone begins to hallucinate and T-Bag climbs in the prison hierarchy, Michael sets an escape plan in motion. Michael attempts to execute a successful escape. Meanwhile, a new inmate arrives who may know something about Whistler's past. Whistler is accused of murder just before the escape. Later, Mahone is offered a better deal, and Lincoln and Sofia must drug the guard. Shifting loyalties abound as Michael and Whistler are forced to fight to the death. Meanwhile, Lechero's power is compromised. 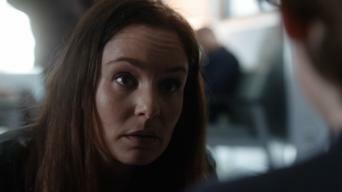 Susan makes a last-ditch effort to get Whistler out of Sona immediately -- and the plan makes everyone else expendable. A new warden at Sona places Michael in solitary confinement but eventually offers him hope. Later, Mahone and T-Bag join the tunnel escape party. Michael, Mahone, Whistler and Lechero try to escape through the tunnel. Meanwhile, Sofia discovers a wallet hidden inside Whistler's bag. As Michael finalizes plans for the escape, his fellow plotters begin to turn on him. Meanwhile, Whistler ponders a betrayal when Sofia is threatened. Michael, Whistler and McGrady escape from Sona -- but not everything goes according to plan, and the exchange is compromised. As the third season draws to a close, LJ and Whistler are exchanged, but more surprises abound. Meanwhile, T-Bag's scheming finally pays off. Season 4 of Prison Break has 23 episodes. Because different Netflix countries have different availability for episodes, you'll need to check the episode listing below to see which are available in Austria. Michael receives unbelievable news when he seeks revenge for Sara's death. Meanwhile, T-Bag is deserted in Mexico during his flight to freedom. The gang has to break into the well-guarded home of Company man Stuart Tuxhorn. Elsewhere, T-Bag must go to extremes to survive. Michael and the team have one day to locate the next cardholder or they risk going back to prison. Meanwhile, Mahone seeks revenge on Wyatt. To get the next data card, Michael, Lincoln and Sucre must crash a police benefit. Meanwhile, T-Bag arouses suspicion on the first day at his new job. The gang, with Don's help, must break into a safe at the Treasury Department to get the next Scylla card. Elsewhere, Gretchen manages to escape. Mahone is arrested, putting the whole gang at risk -- and Mahone squarely in Wyatt's sights. Meanwhile, T-Bag's charade is discovered. Lincoln, Sucre, Sara and Roland follow a Scylla cardholder to Las Vegas, where Roland has his device commandeered after he gets caught gambling. A daring plan is hatched to get the final card from Pad Man, and an uneasy alliance is formed with Gretchen -- but there's a traitor among the ranks. The team needs to make their way through a 30,000-gallon water main to get to Scylla. Meanwhile, T-Bag fends off an investigation. Michael collapses and must go to the hospital. Elsewhere, Sucre steps on a land mine, and Trishanne's surprising secret is uncovered. The team carries out their plan to steal Scylla, accompanied by an ailing Michael. Meanwhile, Gretchen encounters a setback in getting the sixth card. Michael and the gang pull off the Scylla heist from deep within Company headquarters -- but a terrible surprise awaits them. As the gang deals with Don's betrayal, Lincoln is captured. Meanwhile, Don forces Gretchen to help him by holding her daughter and sister hostage. Don and Gretchen, Michael and The Company are all after Scylla. Elsewhere, T-Bag has to make a tough decision as he holds Gretchen's family hostage. When Michael undergoes surgery, he has visions of Westmoreland. Meanwhile, Lincoln and Sucre try to retrieve Scylla before Don and Gretchen sell it. Lincoln, Don, Gretchen and T-Bag go to Miami to retrieve Scylla. 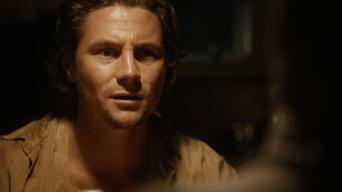 Elsewhere, Michael learns something shocking about his mother as he's held captive. The Company pits Lincoln, Mahone, T-Bag and Don against Michael and Sara in a race to retrieve Scylla -- and all roads lead to the brothers' mother. Michael and Lincoln square off over Scylla as Christina sets her plan in motion. Meanwhile, T-Bag causes a scene at the Indian embassy. Michael has an uneasy reunion with Christina, who drops a bombshell regarding Lincoln. Elsewhere, Lincoln races to stop Christina's deadly plan. Pandemonium erupts at the Panda Bay Hotel after an assassination at the global energy conference. As familiar faces return to help Michael in his quest to bring down The Company, Lincoln makes a discovery about his relationship to Michael. After the general catches the brothers and raises the stakes by abducting more of their relatives, Michael escapes with Scylla. 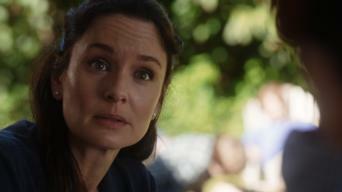 Michael orchestrates his final prison break to free the vulnerable Sara. Season 5 of Prison Break has 9 episodes. Because different Netflix countries have different availability for episodes, you'll need to check the episode listing below to see which are available in Austria. 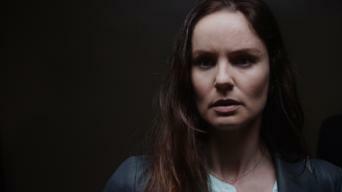 After receiving some shocking news from a newly-freed T-Bag, Lincoln pays Sara a visit to discuss Michael's fate. Sara looks to an old nemesis for information. Lincoln and C-Note search for a contact. Michael hatches a scheme with the help of his cellmate. Michael's escape plan takes an unexpected turn. T-Bag pays Sara a visit. Lincoln searches for a way out of Yemen. With time running out, Michael is forced to consider a dangerous deal. Meanwhile, T-Bag makes a startling discovery. Sara struggles with whether to believe Jacob's explanation, C-Note puts a new plan into action, and Michael fills in Lincoln about Poseidon. Michael, Lincoln and the gang race across the desert with Cyclops in close pursuit. A&W and Van Gogh come face to face with the King. A desperate Lincoln calls on Sara for medical advice. Michael makes a damning discovery. A&W and Van Gogh field some tough questions. A suspicious text from Sara raises red flags. Michael calls on Sheba and C-Note for backup. Lincoln books a flight. With lives on the line, Michael plays a deadly game with Poseidon. Meanwhile, Sara receives information from an unexpected source.